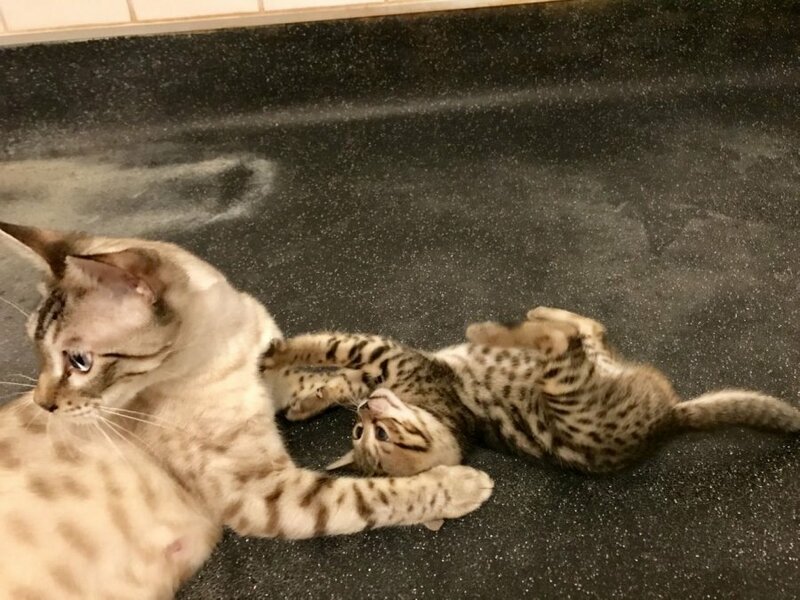 the kitten is not yet ready to leave as she is too young, but reservations are possible, however she is fully litter trained and I suspect that she will be really playful. 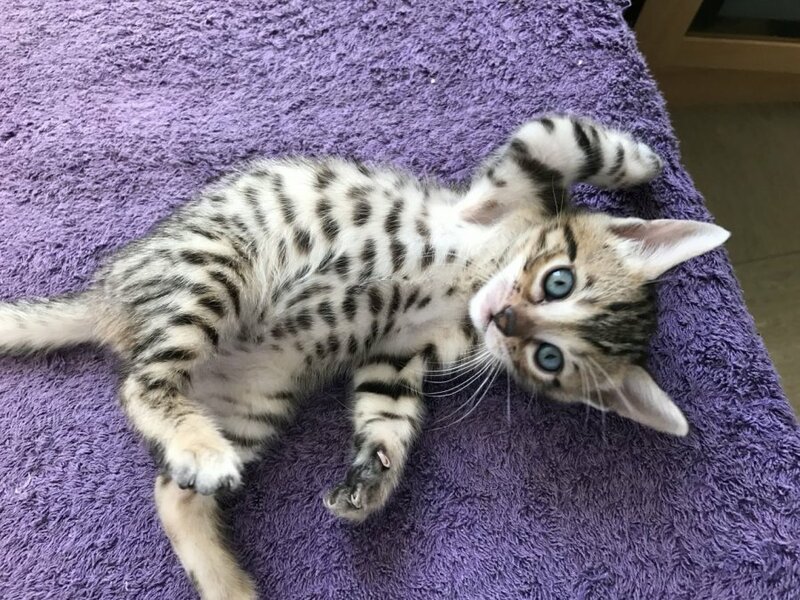 That aside, my Bengals are really playful with my two kids and my dog, so that should also be the case with this little charm. 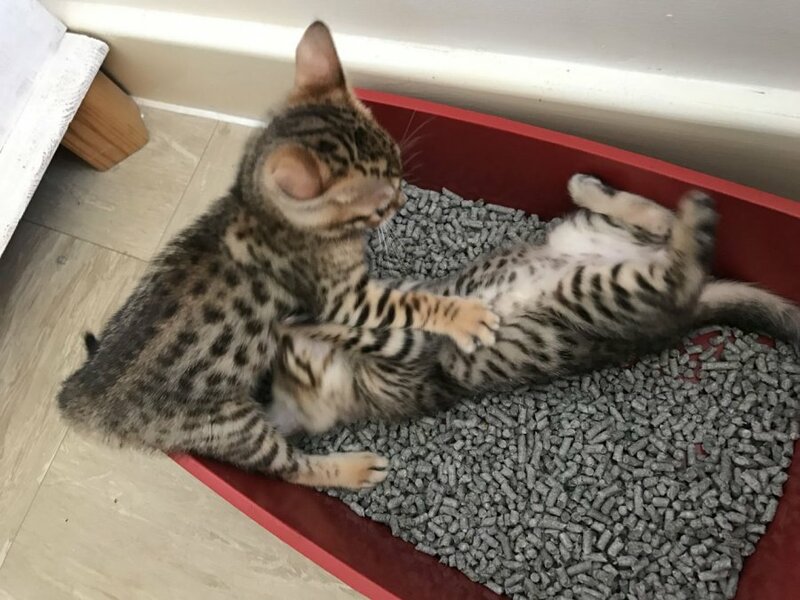 2 absolutely gorgeous Bengal kittens.